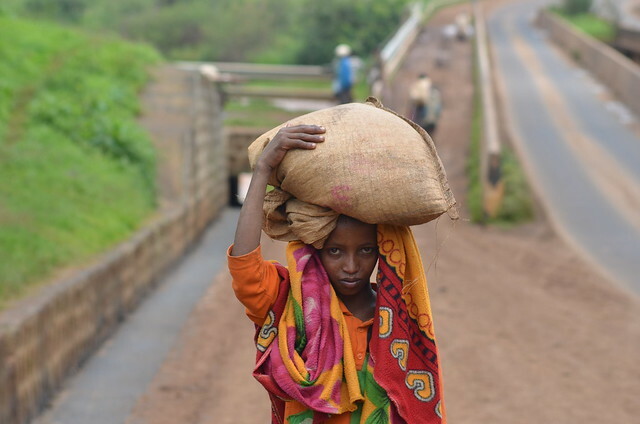 Ethiopia is one of many countries known for an absolute poverty that has resulted in disastrous human catastrophes: poor health care, high levels of illiteracy and devastating child care systems, among others. For this project, Student Media Grantee Menychle M. Abebe toured his native Amhara region, often described by international media as one of the poorest places in the world—a peculiar hotspot for terrible situations. His resulting photographic project profiled the lives of the children in this region. Though local people in general are affected by the historic poverty and chronic underdevelopment, children and mothers are the most vulnerable segments of the population. The area is not only known for its high rate of early marriage, but also for dramatically accelerating unemployment which results from a lack of quality education. Furthermore, children in the area are highly prone to abuse from several directions: While on the one hand they are forced to work as child laborers, they are also pressured to drop out of school for economic benefits. Menychle is working to chronicle these children and their education under such trying circumstances through a short documentary, photographic essay and article for publication. His primary objective is to profile the situation and present anecdotal photos showing the chronic obstacles children face in obtaining a proper education with the view of influencing policy makers and encouraging governments to address the issue. Student Media Grant winner Menychle M. Abebe is currently a graduate student pursuing a master’s degree in Global Journalism at NLA University College, Norway. He is particularly focused on research related to media and conflict, peace journalism, ethnicity, multiculturalism, and peace and conflict studies.